While there are many good reasons for couples wanting to elope i.e costs, stress, family feuds etc, you really shouldn’t let your fear of telling people about your decisions prevent you from following your dream wedding, so we have compiled a list of helpful tips to hopefully make that process easier. First things first, prepare yourself for hurt feelings but remember this is more a reflection of the person than it is of you. Many people simply won’t get why you have made that decision, while others will have already assumed they will be involved in your wedding in some way and will be disappointed to learn otherwise. The way to deal with it is to reassure your family and friends of exactly why you have decided to elope. If they love you and want you to be happy they will totally understand your reasons. With elopements and destination weddings becoming so popular, it’s easy to see where the line is becoming a little blurred? Traditionally elopements meant running away to marry in secret with only the registrar and a witness, whilst destination weddings was basically a traditional wedding held abroad. But now I like to think that elopements can include a cross between the two? Obviously, you can still stick with tradition and marry in secret if that’s what you want? But if your looking for something a little more flexible why not invite a handful of people to be at the wedding with you? This doesn’t need to be a like a traditional wedding where a reception follows, instead you could all just head out for a meal afterwards to celebrate, or a BBQ at home? Whatever suits you best? It doesn’t have to just be all one or the other. Of course be prepared that some will say no and you may end up with more of one side of the family than the other, which in itself can cause issues but this could be a good way to compromise, especially if your parents are paying for your wedding. 2. Have a Plan for Sharing the News? When I got engaged to Mr T, although I had no idea it was going to happen, I instinctively knew that their was a list of people I wanted to tell before any public announcements were made and I think this advice could be appropriate for eloping too. Make a list of those people you would like to tell first: parents, siblings, grandparents and best friends. Personally, I would want to tell these people of my plans to elope before the fact but you can also choose to tell these people immediately after you are married. In the conversation be sure to reassure them of your reasons why as mentioned above and explain you still want them to feel involved in some way? If you choose to tell them beforehand you could still ask your mum to go wedding dress shopping with you or have your gal pals host a mini hen, to make sure they still feel like they are playing a part in the big day. If you are telling your closest friends and family after your elopement, let them know you would still like them to celebrate with you and inform them of your plans to throw a party once you are home. You could even wear the same dress, host speeches and have a father daughter dance. If a party isn’t on the cards, hold a small gathering or go for a meal to celebrate, just be sure to involve them somehow. 3. Announce your wedding with a Fun Picture from the Elopement. Once you have got round to telling your nearest loved ones about your marriage, it’s time to announce it to the rest of your family and friends. 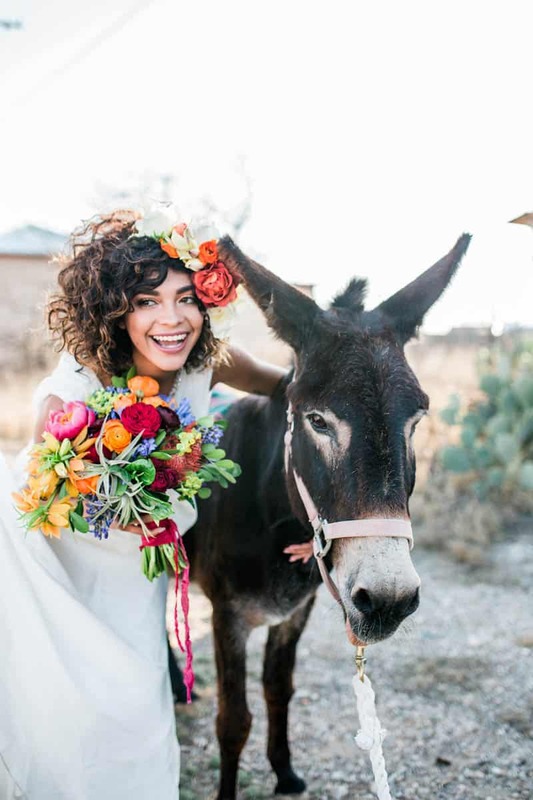 Express your sheer excitement and happiness at having eloped by including a fun picture from your elopement in your party invite. This should be sent as soon as possible after the elopement, then enjoy as the texts and calls of congratulations flood in. 4. Avoid Not Telling People for Months on End. Personally, I think it’s fine to elope and marry in secret but I do think it’s best to tell everyone as soon as possible after the fact. It can be incredibly hurtful knowing someone has kept such a milestone secret from you, especially when most of them will only want to congratulate and support you with such wonderful news. The important thing here is remember to inform those you have told of your plan to keep your elopement secret until you are ready to make it public, to avoid any confusion over who knows and who doesn’t. Ultimately it really doesn’t matter if people are questioning your desicion to elope, just remember to be confident in your reasons why and it will be easier to shrug off any questions of doubt. Don’t let anyone stop you from having your day, your way! How did you tell people of your plans to elope? Let us know if you are have any wedding planning worries. Comment below and we will do our best to help. My sister actually wanted to elope as well but good thing I was able to convince them to have a small destination wedding instead. They held their wedding in Bali, there were less than 50 people in attendance (strictly family and close friends only) so it was one of the most intimate and lovely weddings I’ve been to. Since it was kinda last minute, they booked an all-inclusive wedding package off this global wedding marketplace https://ibride.com/ and I was amazed by how quickly they were able to put everything together! It helped that the wedding planner basically sweat all the big and small stuff so we didn’t have to do much on the week that we arrived. I spent almost 50k on a wedding, and looking back it was the dumbest decision I ever made. It’s ONE DAY, and it’s not even for the bride and groom. It’s for everyone else. Yet the bride and groom typically pay for their own weddings these days. Even if my marriage hadn’t failed, I’d probably still regret spending that much money on a single day. I’m definitely eloping for the second go around and most likely won’t tell anyone. It’s really no ones business.